Billionaire Leon Cooperman is one of the best-performing hedge fund managers on the Street, which is one of the reasons why he is widely followed by smaller investors and his opinion voiced during interviews, conferences, and in investor letters is scrutinized by everybody that has any interest in investing. Cooperman’s fund Omega Advisors is also always in the spotlight and during an investor conference call held less than two weeks ago, Omega provided some updates on its performance and outlined its top picks held as of October 16. We have already discussed the five largest holdings presented during the conference call (see article), as well as the five picks that sport the lowest forward P/E (see article). In this piece, we are going to present five stocks in which not only Omega, but also insiders of those companies, own sizable positions. We follow Omega alongside more than 700 other hedge funds, whose quarterly 13F filings we use as part of our small-cap strategy, which has delivered 102% cumulative returns since August 2012, beating the S&P 500 ETF (SPY) by around 53 percentage points (read more details here). Through extensive research, we determined that the best way to imitate hedge fund activity is to follow their 15 most popular small-cap stock picks. In backtests, this approach showed monthly returns nearly 1.0 percentage point above the market, as compared to the top 50 overall holdings among hedge funds, which slightly lagged the broader indices. On the first spot is AerCap Holdings N.V. (NYSE:AER), which is Omega’s fourth-largest stake as of October 16, amassing 3% of its equity portfolio’s assets. In its latest 13F filing (for the second quarter), Omega reported holding 5.78 million shares of the company, up by 43% on the quarter, while the position was its second-largest in terms of value at the end of June. The stock is also fairly cheap, according to the investor, who estimates a forward P/E of 6.3 based on 2016 earnings and a 10% growth rate in the next three-to-five years. In addition to that, over 14% of AerCap’s stock is held by insiders. Cooperman’s peers from our database seem to share the same bullish view, as during the second quarter the number of investors with long positions in AerCap Holdings N.V. (NYSE:AER) surged to 77 from 44 and they held a whopping 42% of its outstanding stock at the end of June. Next is Chimera Investment Corporation (NYSE:CIM), in which Omega disclosed a 14.13 million-share position, which was increased by 17% during the second quarter. At the conference call, Omega presented Chimera as it’s seventh-largest holding, which amassed 2.3% of its assets. As a mortgage REIT, Chimera Investment Corporation (NYSE:CIM) also has a dividend yield of over 13.50% and for the next three-to-five years, Omega predicts a modest 3% growth rate. Insiders hold some 4.7% of Chimera Investment Corporation (NYSE:CIM), but the REIT is not very popular among the funds from our database, since only 17 reported stakes equal to 12% of its outstanding stock as of the end of June. Israel Englander’s Millennium Management was another shareholder of the company, with a stake of 4.0 million shares reported in its second quarter 13F filing. Turn to the next page to see more details about three other stocks from our selection, namely Ashland Inc (NYSE:ASH), Sirius XM Holdings Inc. (NASDAQ:SIRI), and United Continental Holdings Inc (NYSE:UAL). Investors Are Abuzz About These 4 Stocks Today; Here’s Why Strong Insider Buying at Three Companies: Are These Stocks Undervalued? Why Are These Four Stocks among Top Gainers Today? 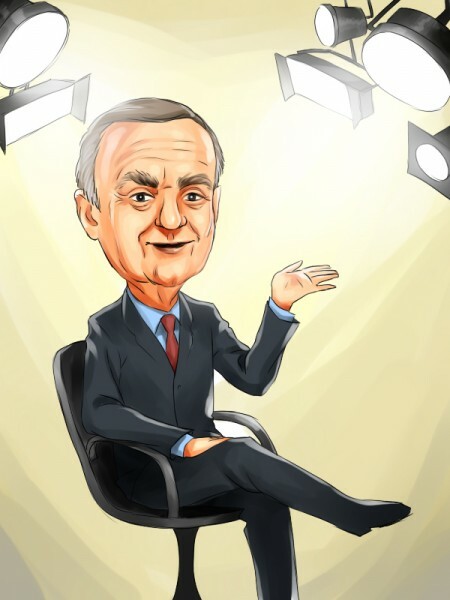 A Look at Billionaire Leon Cooperman’s Five Cheapest Stock Picks Dividend Aristocrats Part 17 of 52: Cardinal Health Inc (CAH) Why Are These Five Stocks Falling on Thursday?